What is Porsche Engineering doing? Developing sports cars. In fact, that's not all. A film, which now received international Awards, paints the engineering services provider’s portrait. 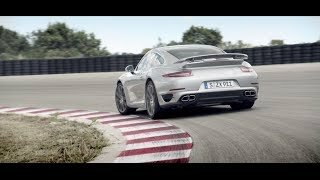 The new corporate film “Driving Technologies” by the Porsche Engineering Group GmbH was recently recognized with two international film awards. The engineering services provider, a 100% subsidiary of Porsche AG received a Gold-Award at the Communicator Awards in New York and a silver Victoria-Award at the Internationale Wirtschaftsfilmtage (largest German-speaking festival for corporate films) in Vienna. With over 6,000 submissions this year, the Communicator Awards in New York are one of the leading competitions for recognition of creative performances in corporate communication. The Porsche Engineering film received the highest award, the “Award of Excellence”. The 26th Internationale Wirtschaftsfilmtage in Vienna concentrate on corporate films from German-speaking countries that have been produced between 2012 and 2014. The Porsche Engineering Group GmbH is a premium engineering services provider for automobile manufacturers, their suppliers, as well as companies from other industries. It combines the character of a perfectly connected small and medium-sized company located in the South-West of Germany with the experience of a worldwide successfully operating organization. Its engineers work on new, unconventional ideas for automobile, vehicle, and industrial clients. Upon customer order they develop diverse solutions - starting from the conceptual design of elements and the engineering of complex modules to the point of planning and realization of complete vehicle developments – including series production management. The specialty thereby is: everything happens with the yearlong experience of the series manufacturer Porsche. Engineering services for external customers are a vital corner post of the Porsche identity and an important component of Porsche. However, the public knows only little about it. Porsche Engineering operates according to strict confidentiality policies to ensure that product strategies and brand identities of its customers are protected with the greatest care at all times.